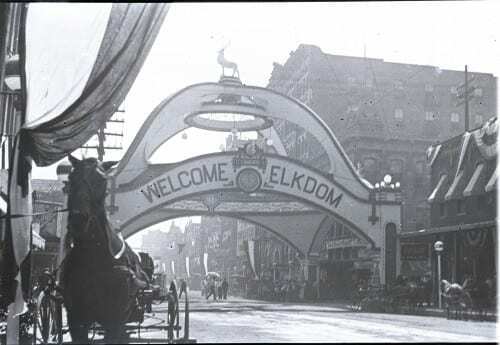 Elks Arch in 1908 during the National Convention of the Fraternal Order of the Elks. Courtesy Dallas Historical Society. Used by permission. “Elk celebration 1908 Elks arch.” Accession number A6182i. Courtesy Dallas Historical Society. Used by permission.